The Thrive FTC approach is a programme that sets out to identify, repair and enable social, emotional developmental growth. The Thrive framework is based upon the latest advancements in child development, neuroscience and attachment theory. Child development can be depicted as six building blocks of experience, each with accompanying tasks and opportunities. These translate into six fundamental aspects of learning for emotional and social development. These can be thought of as six areas of competence. Each area of competence has related tasks and desirable experiences to make the most of learning. 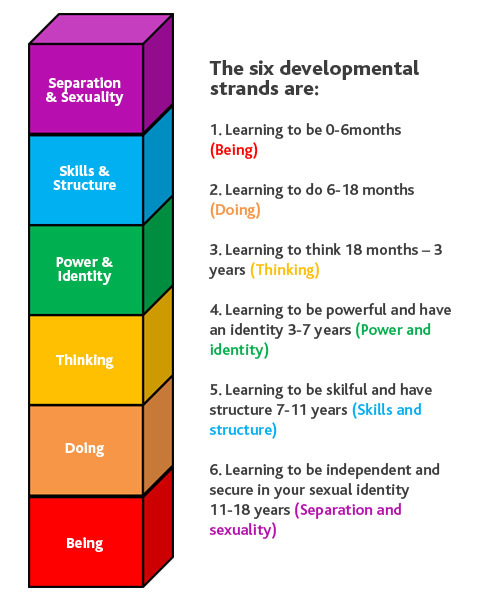 As a child grows the developmental strands come on-line sequentially. The strand usually comes on-line in certain time frames in life – specific to how the brain is growing or developing throughout this period. However, once they are in place they remain open to growth throughout life. The Forge adopts the Thrive Approach’s non-judgemental stance – that ‘Life Happens’, events sometimes happen beyond our control. If life happens during any one of the developmental stages this can cause interrupted patterns of behaviour later on in life and can be recycled – or appear again – especially during adolescence. With the help of an online assessment tool and training, The Thrive approach seeks to heal these interruptions through the use of creative processes including play, activities and repeated helpful experiences through a trusted adult relationship. The use of Thrive here at the Forge has enabled students to challenge and overcome life’s circumstances and work therapeutically, through relationships built with trusted adults, to achieve and grow both in their developmental growth and their education outcomes. The application of the Thrive approach when implemented in a school helps to enable students to move from a survival, fight or flight, defensive stance into cause and effect cognitive way of thinking. This is achieved through ensuring students feel safe and special whilst co-adventuring to build stress management systems through an increased vocabulary in their emotional literacy. 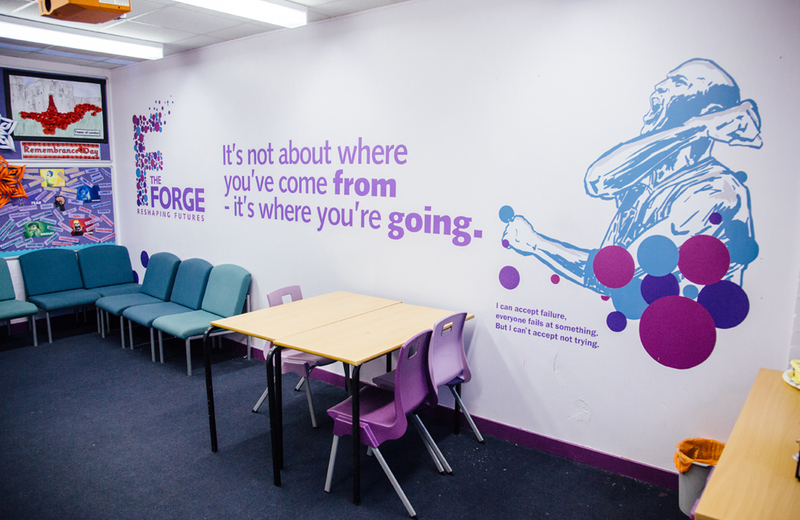 The Thrive FTC Approach has transformed our practice here at the Forge and in many of our surrounding partnership schools. The link between nurturing students through therapeutic play, creative sessions, targeted intervention and specialised interactions throughout the day has a direct effect on our student’s educational success.